four light functions – strobing, flashing, static and off – operated by a button on the base. The insulated double walled cup will keep your drink cool and has a 350ml capacity. 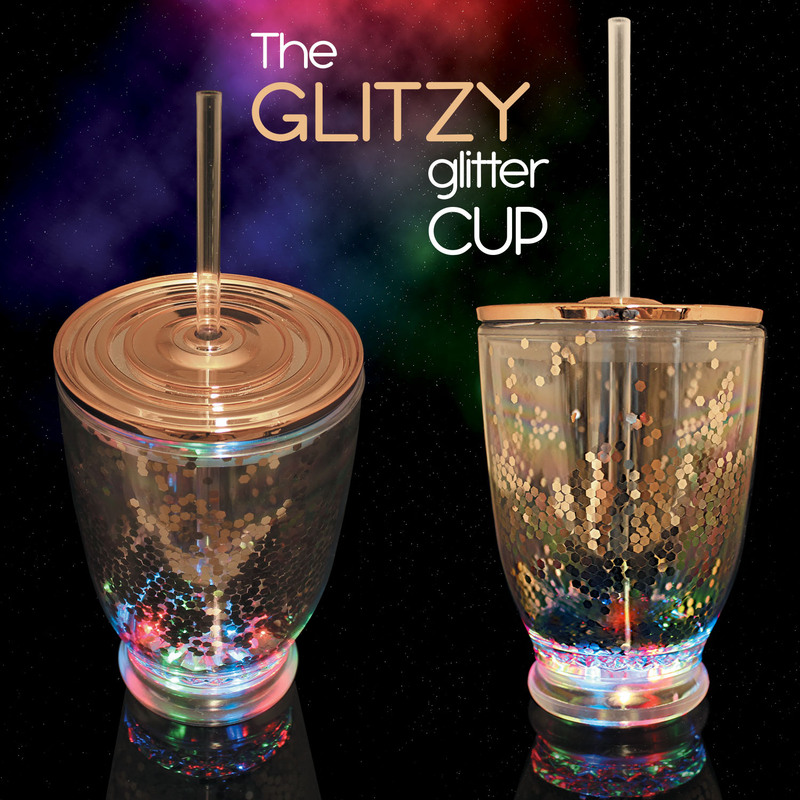 With a clear removable plastic straw and a rose gold screw top lid to avoid spillages. 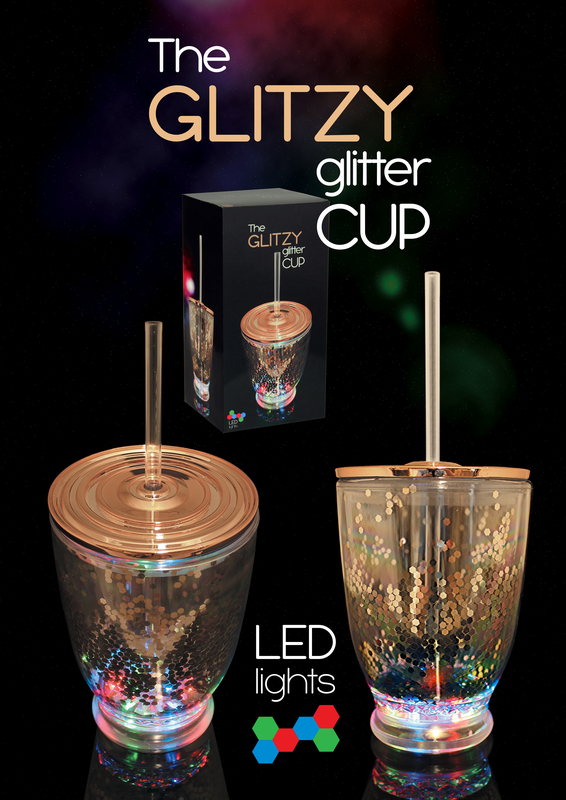 Never lose your sparkle with this gorgeous Glitzy Glitter Cup. 3 x LR44 batteries supplied and are replaceable.